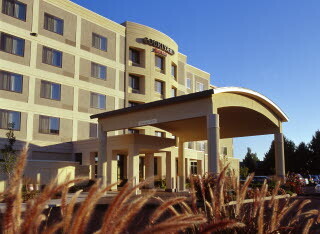 Marriott International has recognized High Hotels Ltd.’s TownePlace Suites - Harrisburg West as its Hotel of the Year. The TownePlace was awarded the prestigious top honor from among the more than 350 hotels worldwide. 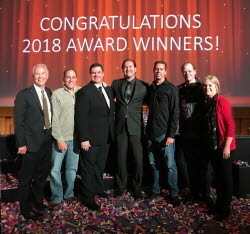 The award was announced and presented during Marriott’s Annual Select Brand General Manager Conference recently held in Chicago, Illinois. 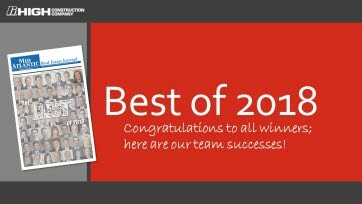 Several High Construction projects, as well as its annual charity golf event, were showcased in the Mid-Atlantic Real Estate Journal’s “Best of 2018” program that features the finest work and efforts of businesses in the region. High Construction received top honors as a medium-size general contractor, in several categories, including Multifamily, Senor Living, Hospitality, Retail, and Giving Back. "2018 was a pretty good year. Odds are ... we'll see positive growth through 2019." "It's a great time to be a borrower, and 2019 may be even better." 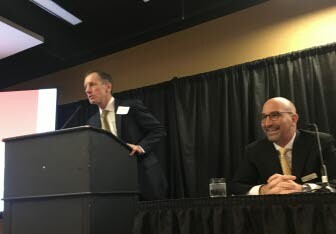 High Real Estate Group President and COO Mark Fitzgerald showed some optimism in his macro-level overview, which included discussion of cap markets, underwriting, investor sentiment, and cap rates. 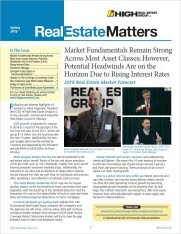 Details by market and asset class were given by Mike Lorelli, Steve Evans, Brad Mowbray, and Russ Urban. 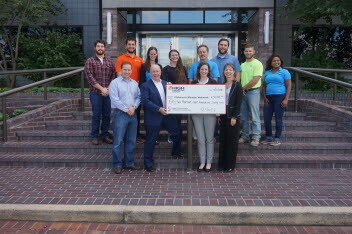 High Construction Company raised $52,860 at its 10th annual charity golf invitational on September 14 to benefit Children’s Miracle Network and Penn State Children’s Hospital. 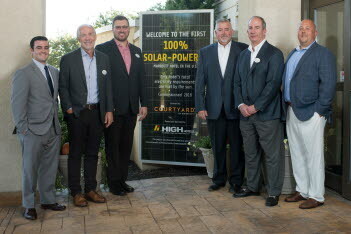 "Here Comes the Sun” played as High Hotels Ltd. co-workers unveiled a solar panel representing a new solar array that began powering the Courtyard by Marriott-Lancaster. The lights ceremoniously dimmed at the moment the electric power switched over to 100% renewable energy. About 75 staff, community members, elected officials, and onlookers watched as a new real-time meter located in the hotel lobby displayed the solar power produced by the project. 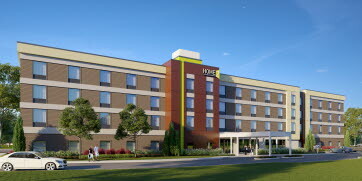 High Construction Awarded $12M Contract to Build a Home2 Suites by Hilton in Glen Mills, Pa.
High Construction today announced that it received a $12M contract to build a Home2 Suites in Concord Township (Glen Mills), Delaware County, Pa. 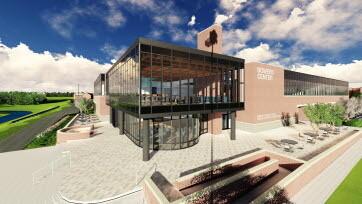 The all-suite hotel will be located at 75 Applied Bank Boulevard. 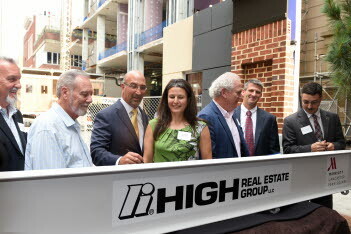 High Real Estate Group on Tuesday held a topping-off ceremony for an addition to the Lancaster Marriott at Penn Square, hoisting a symbolic last beam to the roof of the 12-floor, $39 million structure. About 90 company and project executives, local officials and community leaders attended. Before the 10-foot white beam was lifted, it was signed by local dignitaries and project leaders. High Hotels Ltd. announced today it is installing a $1.5 million solar array that will generate 100 percent of the electrical power required to operate one of its existing hotels in Greenfield Corporate Center. 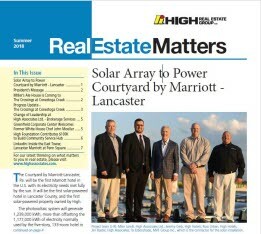 The completed installation will make the 133-room Courtyard by Marriott-Lancaster at 1931 Hospitality Drive the first Marriott-branded hotel in the United States with 100 percent of its electricity needs generated from solar power. 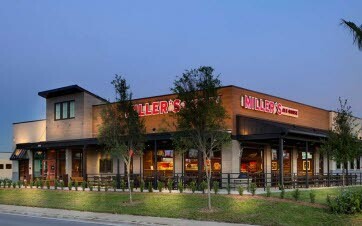 Miller’s Ale House, a casual sports restaurant and bar, announced that it will join the Main Street retail component of The Crossings at Conestoga Creek. The Florida-based chain will occupy a freestanding location in the Lancaster, Pa. lifestyle shopping center with a footprint of approximately 7,232 square feet. 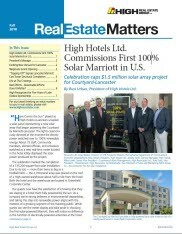 First 100% solar-powered Marriott in U.S.
Russ Urban, the president of High Hotels, has long been intrigued by renewable energy sources such as solar power. But there’s a problem with trying to meet a hotel’s energy needs entirely by using solar power — the typical hotel roof is too small to hold all the solar panels required. 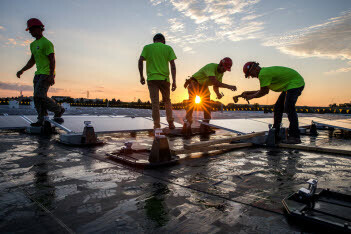 So, to generate enough electricity for its Courtyard by Marriott hotel in the Greenfield Corporate Center, High Hotels will install 2,700 solar panels atop a large industrial building about a third of a mile away. 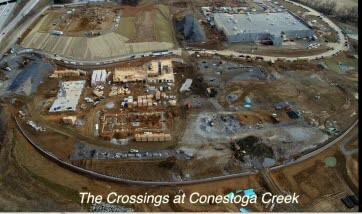 High Construction has posted a new aerial video of The Crossings at Conestoga Creek on Harrisburg Pike in Manheim Township. The $120 million mixed-use development anchored by a Wegmans supermarket will begin opening late this summer. In addition to the Wegmans, the development will include 20 to 25 other stores and restaurants, 258 upscale apartments and a 127-suite hotel, a Residence Inn by Marriott. Best Efforts – Reasonable Efforts: Does It Matter? 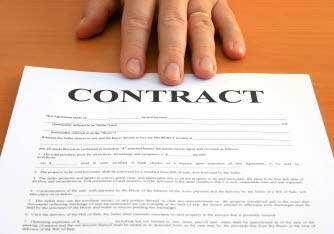 Almost all transaction documents have a provision or two requiring a party to exercise an effort to achieve an end. Sometimes the provision requires the party to exercise “best efforts” to do so. Sometimes the effort required is “reasonable efforts.” If the parties to the document are business entities, it is common to see the effort described as “commercially reasonable.” Are these efforts different? Is there an ascending level of these efforts? Does it matter which words are used to describe the efforts? 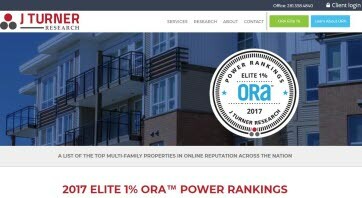 Multi-family industry researcher J Turner Research recently awarded two High Associates Ltd. communities its top "Elite" ranking in its Online Reputation Assessment™ (ORA™). The independent firm selected 977 multi-family properties out of 71,000 assessed nationwide for the honor. Construction of The Crossings at Conestoga Creek, a $120 million mixed-use development anchored by a Wegmans supermarket, continues to progress toward a fall opening. This video taken by the project's general contractor, High Construction, shows what will be the Wegmans plus 20 to 25 other stores and restaurants, 258 upscale apartments and a 127-suite hotel, a Residence Inn by Marriott. 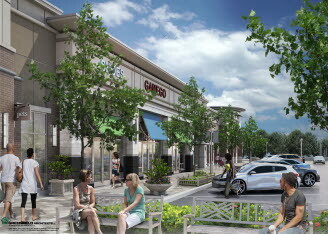 Wegmans said recently that it expects an "early fall" opening. 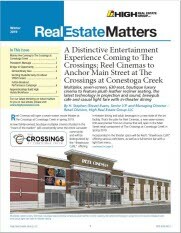 Many of the other stores and restaurants will open about that time, Crossings developer High Real Estate Group has said.